I would love for you to join me again for another sew along! So be sure to pick up a kit so you are ready to sew along with us next month! If you are new to this sew along, you can find previous posts below. Scroll down to see the final reveal! Here it is!! I'm sure you guessed the layout of this after we got all the blocks sewn together last week. 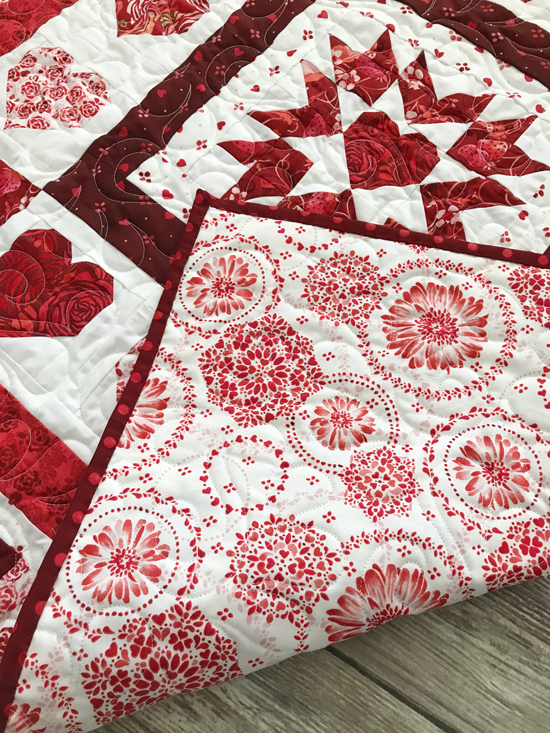 This one is such a fun design and all the red and white just make my heart happy! 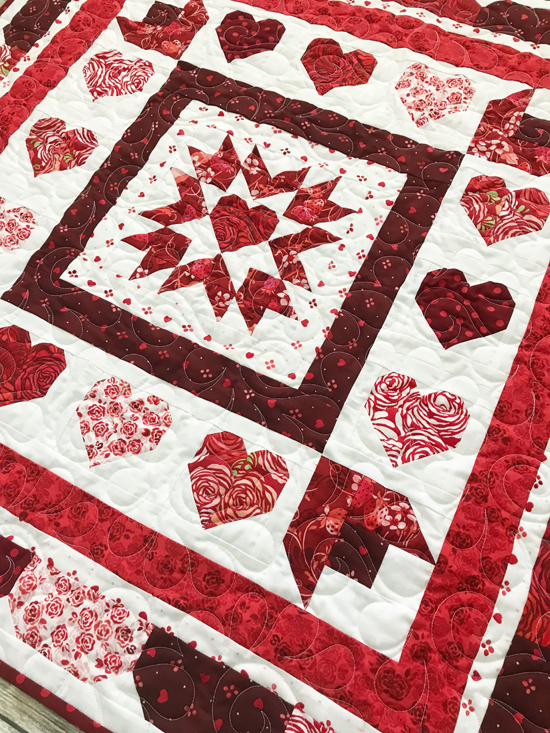 For the quilting, I did some feathers and swirls -- a fun combination for this quilt! 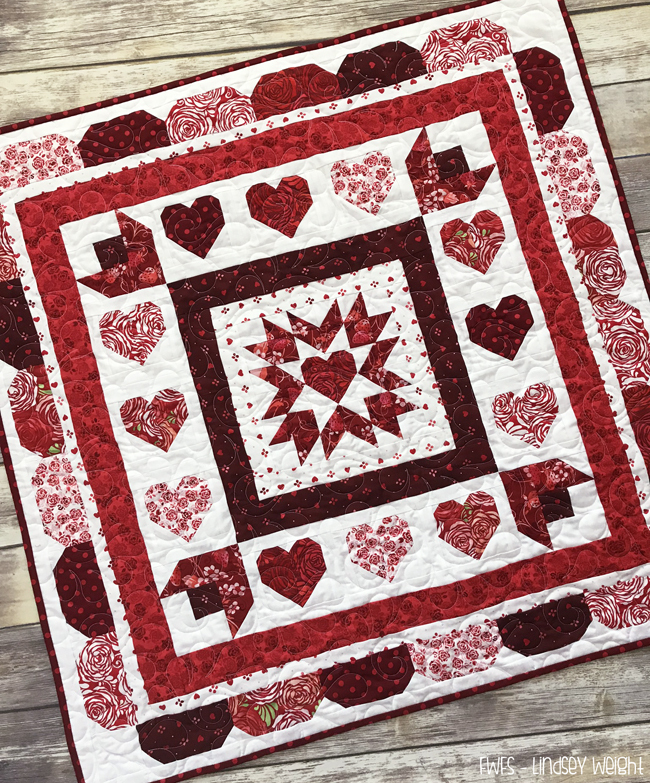 My favorite part of the quilt is that center block! I think I need to make an entire quilt from that block alone! I hope you enjoyed this Mystery Quilt sew along! 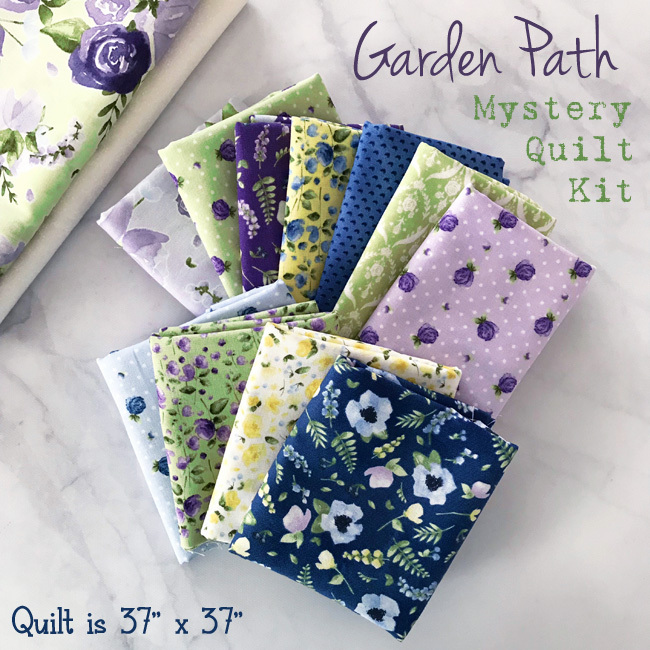 I had so much fun with this one and I hope you will join me again next month for our Spring Mystery Quilt! oh my gosh how cute! can't wait to get mine finished..
Love your designs and participating in the sew alongs! Thank you for sharing your talent. This quilt is absolutely grand; not only in design but also instructions. Definitely on my bucket list. love them all. thank you for not making this a very long involved quilt. Thank you! Can't wait to finish it up! I'm looking forward to the next one!! Thanks you so much for this mystery quilt. It is darling!